Pharmaceutical manufacturers strive to maintain safe, sanitary and sterile conditions. 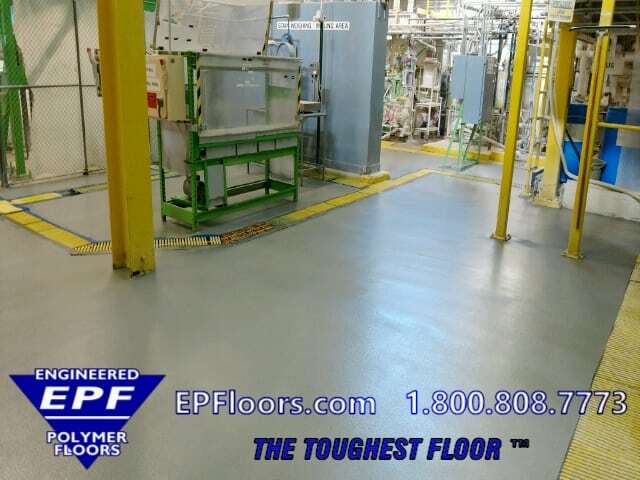 Choosing the correct pharmaceutical flooring for the facility can be a daunting task. 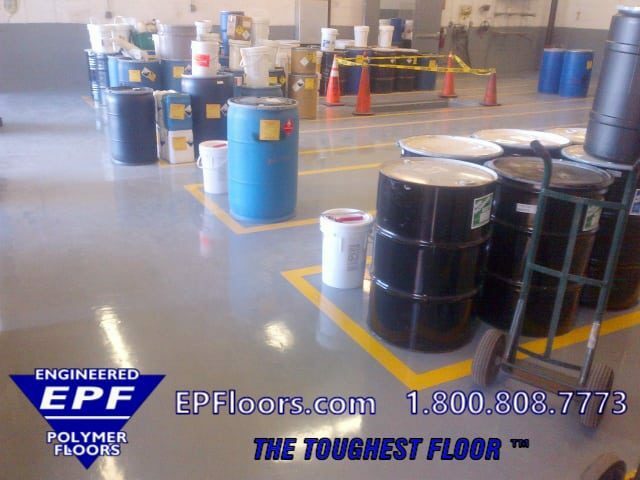 Most noteworthy, there are a number of chemical compounds used in the formulation processes which may damage floors. 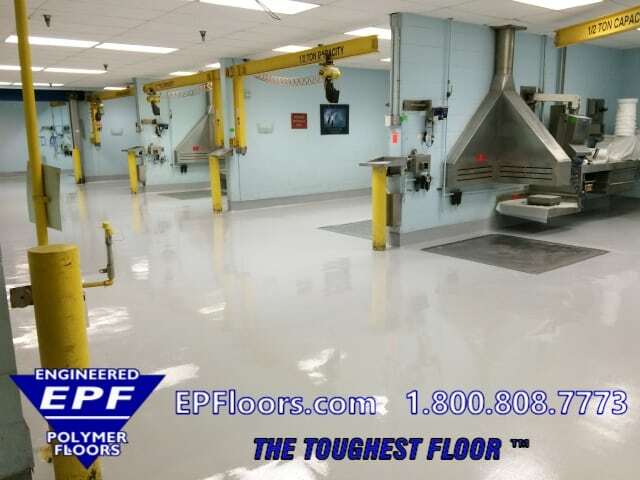 EPF provides customized floor solutions for the pharmaceutical industry. From chemical resistance to solvents and acids to restoring badly damaged concrete, we have the right system to meet your needs. Most of our systems are low odor. Fast curing materials are available, for a quick turn around on your project. 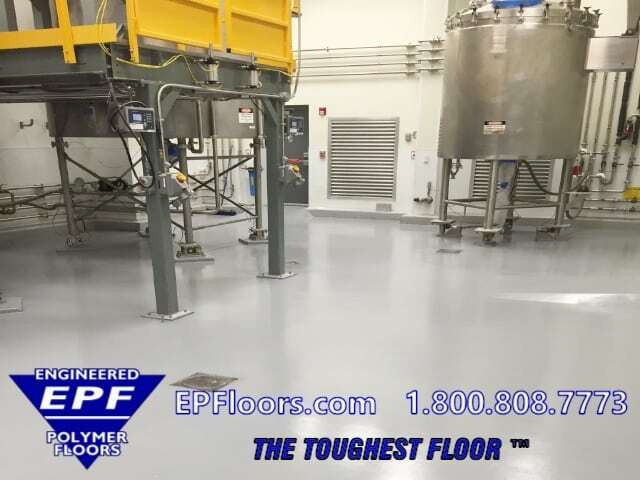 EPF has been installing floors for the pharmaceutical and the medical device market, for over 30 years. 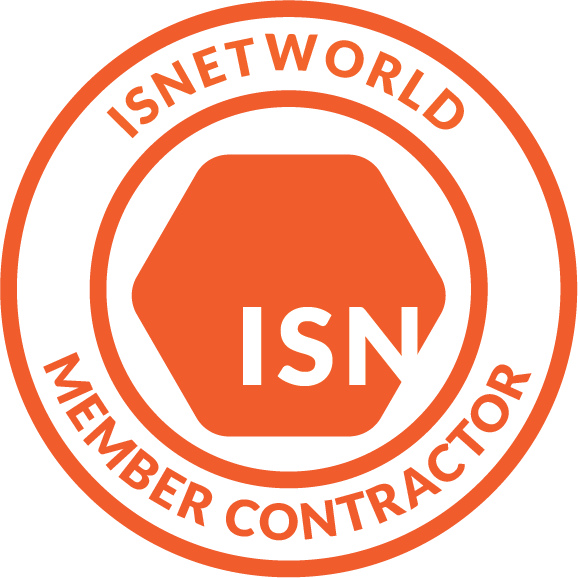 Since our firm is vertically integrated, we can offer sole source responsibility for your project. EPF handles your project from A-Z, while tightly controlling quality along the way. (In contrast, many companies are manufacturers only, who must refer you to a third party for assistance). We initiate each project with expert floor design consulting. Next, we evaluate the needs for your area.We look at conditions such as chemical spillage, traffic conditions, texture, turn-around time and much more. Using a detailed checklist, we perform a custom needs analysis for your area. Finally, we furnish the materials, perform the prep and application with our own company crews, and provide a solid single source warranty. 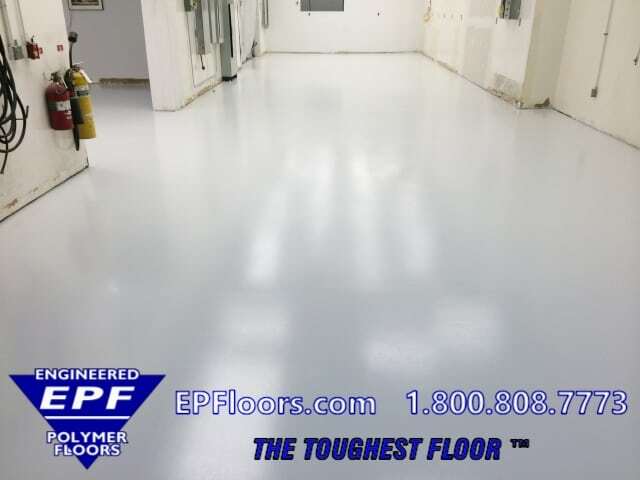 EPF flooring handles your most demanding environmental conditions. 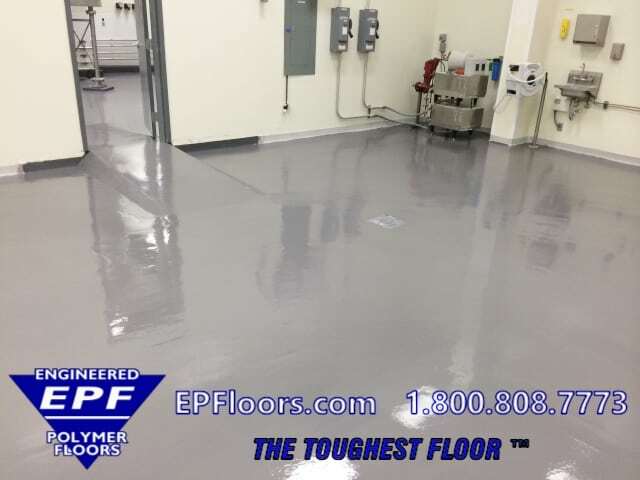 Our seamless epoxy and polyurethane systems are the ideal surfaces for clean room flooring, processing lines and R&D laboratories. 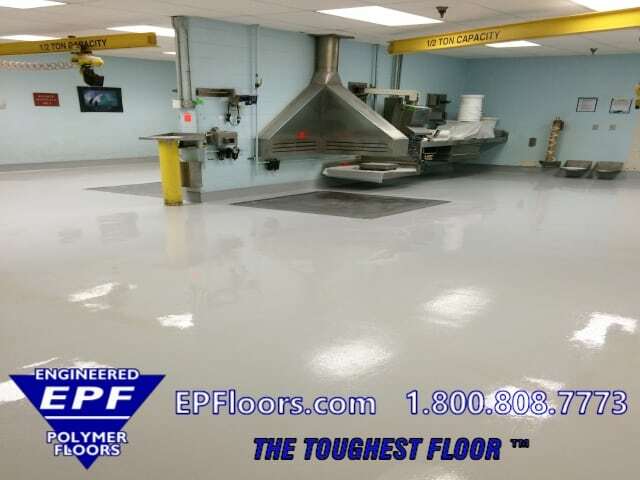 With chemical resistance, ease of maintenance, and a waterproof finish, our seamless epoxy flooring and urethane concrete mortar flooring are well suited to a variety of sterile processing environments. 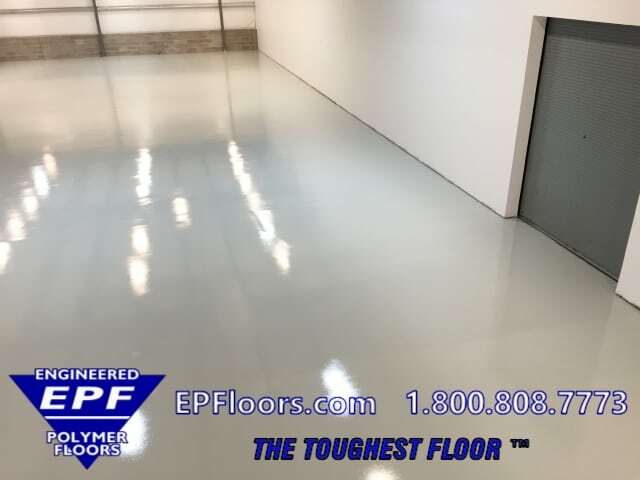 The high-gloss seamless finish of our flooring systems eliminate the cracks and crevices that harbor dirt and dust – making the floors dust-free as well as being simple to clean and decontaminate. 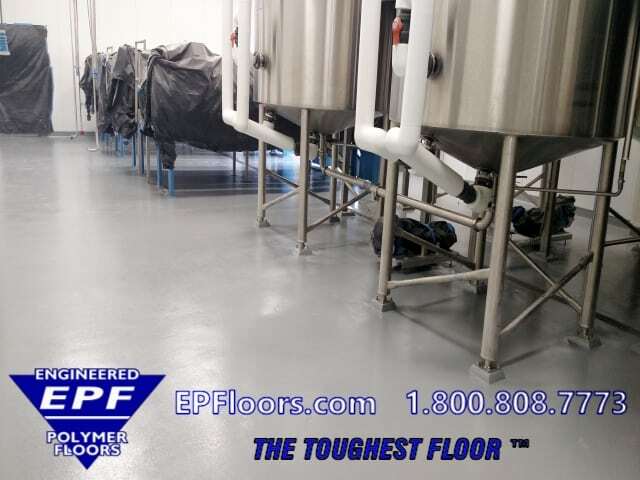 PUMA-CRETE® flooring is an ideal product for pharmaceutical flooring. 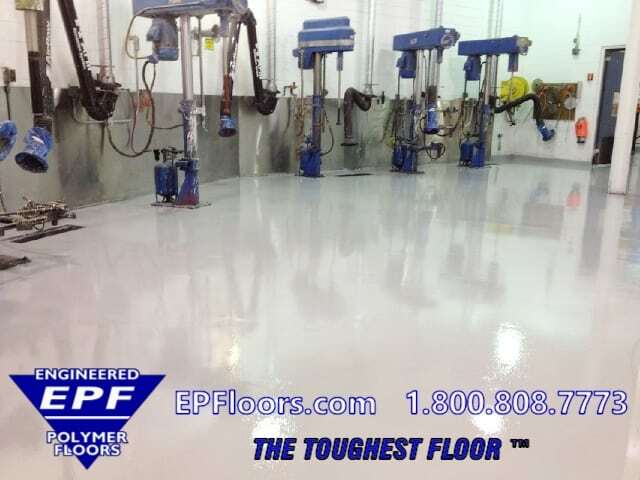 It is a urethane mortar floor designed for outstanding durability, impact and wear resistance. It can restore old damaged concrete surfaces, saving on slab replacement costs. It is typically applied at 1/4 inch thickness. Materials are low odor, to minimize disruption during the installation. Since the system is moisture mitigating, it handles high concrete moisture levels. 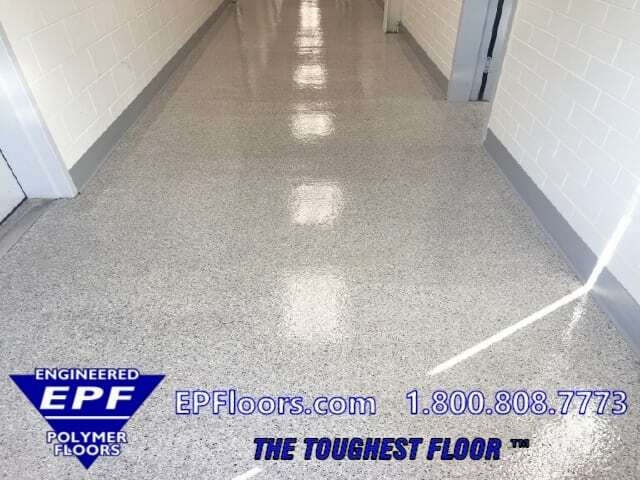 The finish texture can be customized, to accommodate anti slip and cleaning needs. Extra fast curing options are available for short turnaround time. During production, various reaction products and cleaning chemicals can end up on the floors. These liquids can damage conventional floor coverings. 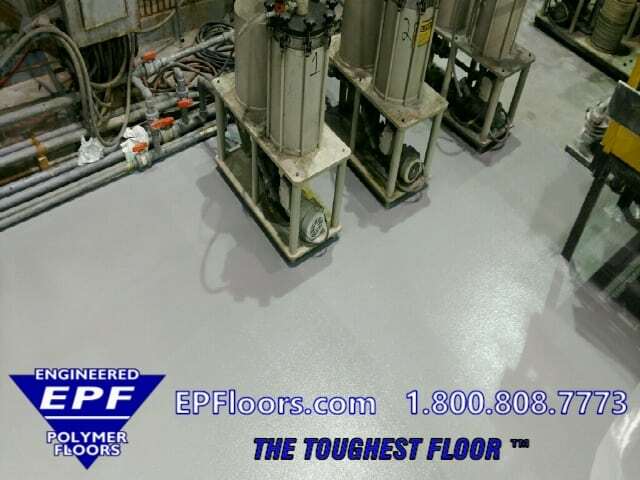 PUMA-CRETE® chemical resistant flooring can effectively protect concrete in chemical processing areas and solvent storage areas. 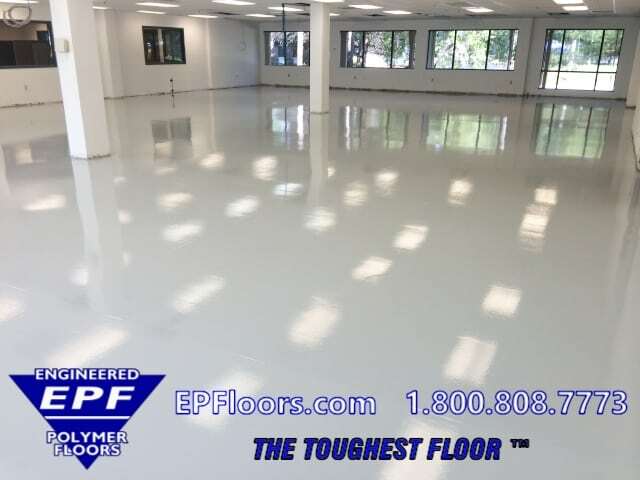 Our floors have superior chemical, corrosion and moisture resistance. The floor is matched to the expected chemical spillage. This may be splash/spill, or total immersion conditions. Secondary containment areas may be lined with our protective coatings, for positive corrosion control. When hot spills or wash downs occur, this causes temperature fluctuations in flooring materials. This extreme thermal shock, and/or thermal cycling, can damage conventional flooring. 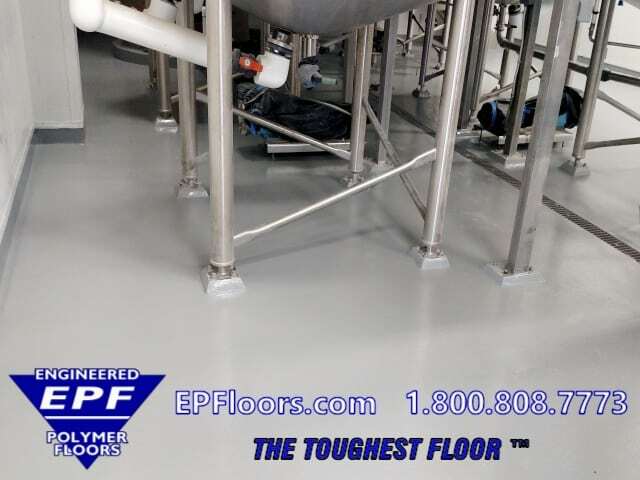 PUMA-CRETE® flooring handles extreme thermal shock conditions, from wash downs, or emptying the lines. In addition to chemical resistance, anti static floor options are available. These would typically be recommended for areas with sensitive electronics, robotics or explosion risks. Areas would include Clean Rooms, Processing, Assembly Areas, Laboratories, Quality Control, Solvent Storage, Packaging Areas. Conductive floorsing can help ensure safety in the presence of explosion risks, in flammable storage and processing areas. 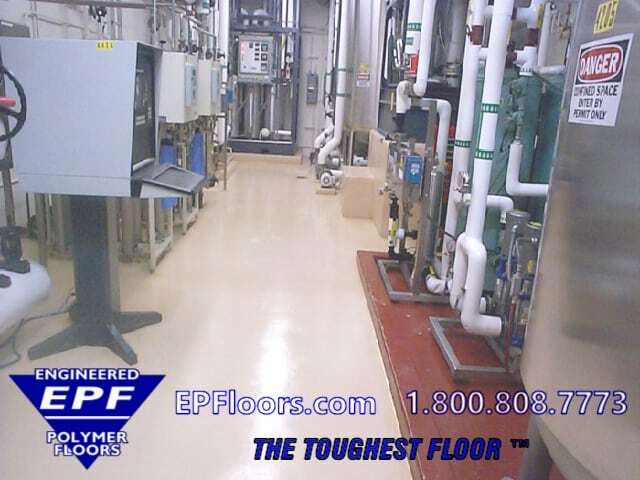 We offer NFPA99 certified flooring for these areas. 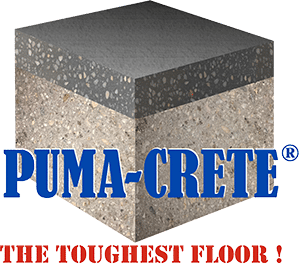 PUMA-CRETE® flooring has a seamless monolithic surface. This makes it is easy to clean and sanitize, to meet biosafety and hygiene requirements. The anti microbial surface inhibits the growth of bacteria. Materials are USDA/FDA approved and support FDA cGMPs (current Good Manufacturing Practices). There is no outgassing after materials have fully cured.